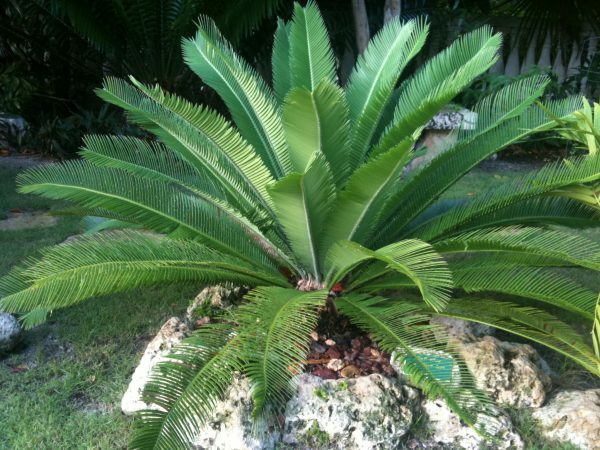 Clustering, pinnate cycad. Trunks to 10 feet with 16 inch diameter. Green to somewhat glaucous stiff leaves. Overall height to 12 feet by 12 foot spread. Requirements Grows well in alkaline to slightly acidic, well-drained soils. Growth rate very slow to slow. Tolerates short cold dips to the mid 20s. Has some salt tolerance.